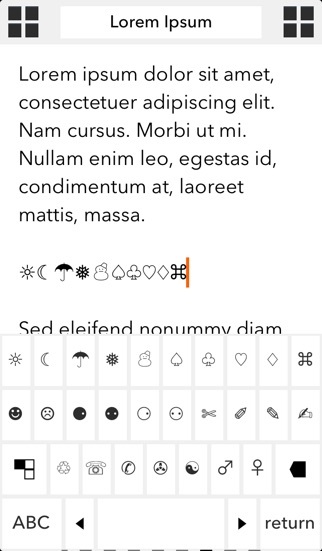 Character Writer is an elegant text editor and the best way to work with special characters on the iPad. 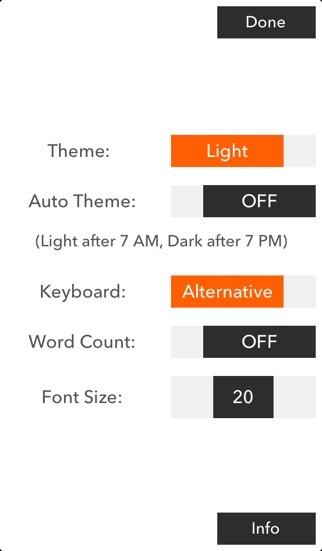 Character Writer's custom keyboard offers you easy access to over 500 special characters while you type. Designed with style and function in mind, Character Writer is the perfect productivity tool for anyone who writes anything on their iPad. 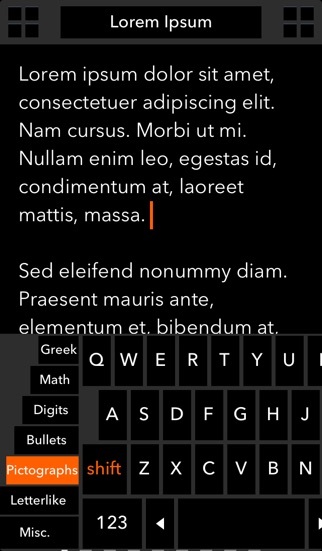 Features Include: • Easy Access to hundreds of special Characters: - Full upper and lower case Greek alphabet - Math Symbols - Digits -> Fractions, superscript and subscript numbers - Pictographs - Letter like symbols & many more • Document Sync - iCloud support - Dropbox syncing • Advanced Writing Technologies: - Dark theme (perfect for nighttime writing) - Automatic theme switching - Word Count - Integrated keyboard arrow keys for precision cursor placement - Adjustable font size • A Full Range of Export Options: - Copy Text - Print - Email as Text - Email as Attachment - Tweet - Post to Facebook - Open In... 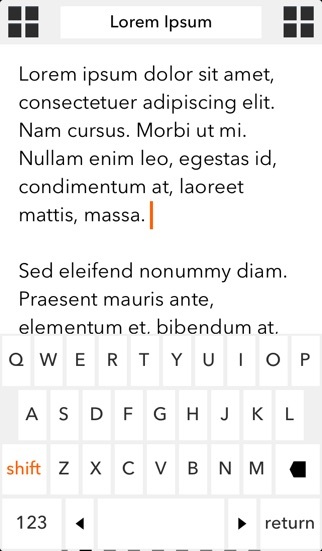 The all new Character Writer has been a long time in development. It was originally born out of the frustration normally produced by attempting to compose technical reports on the iPad, which previously required special characters to be copied and pasted individually from a webpage. Proudly developed by App Sublime. Follow us on Twitter @AppSublime to keep up with news and developments. I like the app and would use it more if there was a spellcheck integrated into it.. 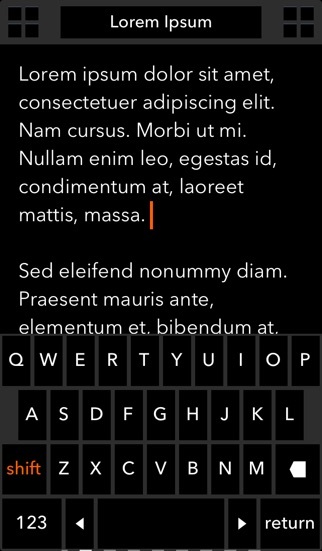 I've downloaded several writing apps and must say this is app is one of the best ones out there. Love the simplicity, and how I can change the font size as I do a lot of speaking engagements with my ipad. My only suggestion would be to add a lists button.